Red Bull unveiled their first Honda-powered Formula One car on Wednesday with Max Verstappen driving the initial laps at Silverstone. 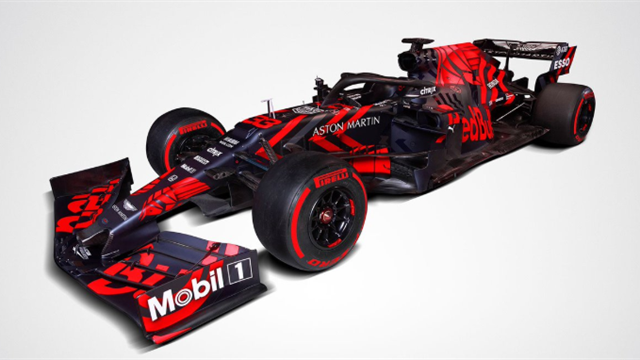 The team published images of the RB15 online with what it said was a temporary livery for filming before testing starts in Spain on Monday. The former champions finished third overall last season, winning four races and well ahead of fourth-placed rivals Renault. Red Bull parted company with engine partners Renault at the end of 2018, switching instead to Honda who also provide power units for sister team Toro Rosso. Verstappen, who shared the victories with Australian Daniel Ricciardo last season, has a new team mate for 2019 in Frenchman Pierre Gasly. "What I'm most looking forward to is starting the season and seeing how the whole team is operating together with Honda and how the engine is performing together with the chassis," said Verstappen ahead of the initial limited mileage filming day. "Up until Australia you can't really set goals, it's a bit blind," added the 21-year-old, whose season starts in Melbourne on March 17. Honda ended a difficult partnership with former greats McLaren at the end of 2017, with hopes of rekindling former glories ending in recriminations over a lack of performance and reliability. Toro Rosso finished ninth of 10 teams last year with the Honda engine but Red Bull have sounded optimistic about the progress made by the Japanese manufacturer.